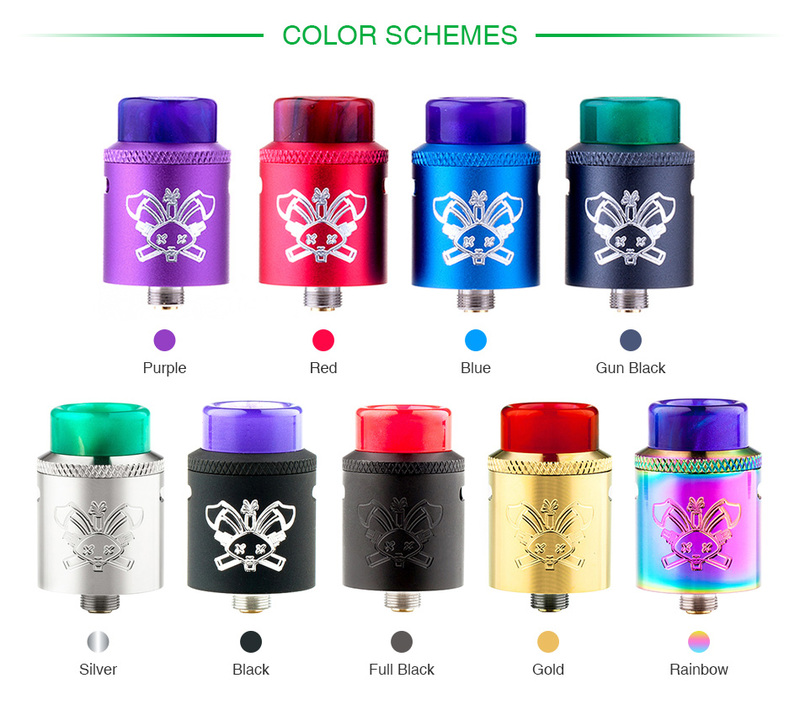 The Dead Rabbit SQ RDA is a single coil bottom feeding RDA that designed for Squonking. It has a 22mm diameter with ample build space and generous post holes. And the adjustable top side diagonal airflow brings concentrate flavor without leaking. 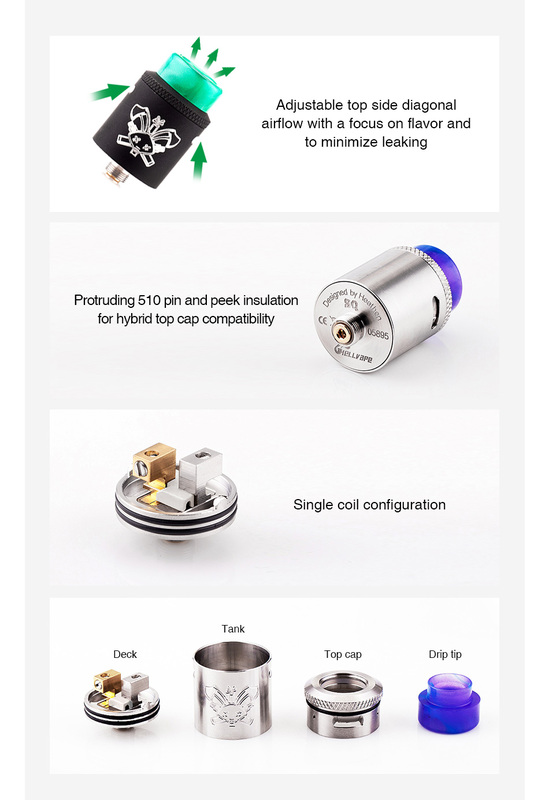 It supports full lung and MTL vaping with a barrel lock. A spare solid 510 pin for dripping is also included.